The period of Ottoman rule in Greek history has undergone a dramatic reassessment in recent years. Long reviled as four hundred years of unrelieved slavery and barbarity under 'the Turkish yoke', a new generation of scholars, based mainly but not exclusively in Greece, is rejecting this monochromatic view in favour of a more nuanced picture of the Greek experience in the Ottoman Empire. 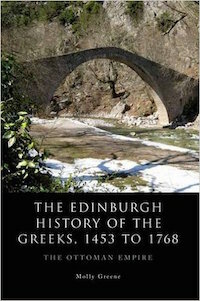 Four main themes provide the foundation for the book and run through the individual chapters: the fate of the 1,000-year Byzantine heritage; the millet system and Ottoman society; the connections between the Greek population and other members of Ottoman society, especially in cultural life; and, the Greeks and Europe. The book begins with the conventional date of 1453, the fall of Constantinople, and includes debates over the extent to which 1453 represented a real break with the past. The volume ends with the Russo-Ottoman War of 1768-1774, which brought to an end the relative peace and stability of the Ottoman eighteenth century and helped to usher in the nationalist movements in the region.